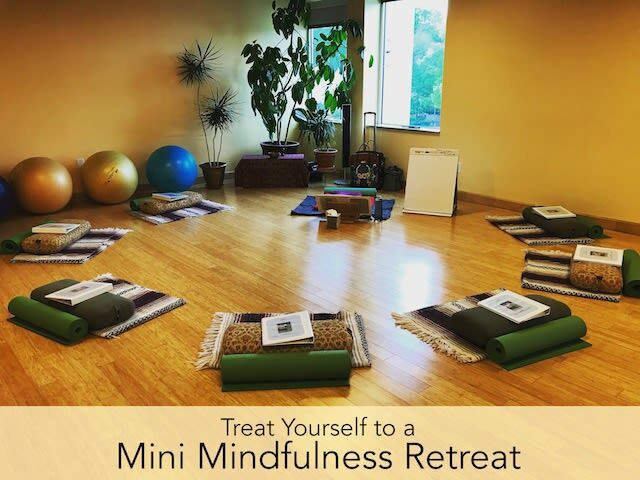 Join us for a teacher-led Mini Mindfulness Retreat the 2nd Saturday of each month. Dedicating more continuous time to silent reflection and meditation is a great way to deepen or jump-start your practice. We will alternate between sitting and walking/movement based meditation in noble silence. Meditation instruction will be given and all experience levels are welcome. Bring a hot/cold beverage container for tea or water, a yoga mat, and a cushion if you have them. Some chairs, mats and props are available at the center. An orientation is available from 8:15 - 8:45 am for people who are brand-new to mindfulness. When you sign up, let us know if you are interested in a pre-retreat orientation. Pre-registration is required so we can plan accordingly. No refunds the day of the event or thereafter.